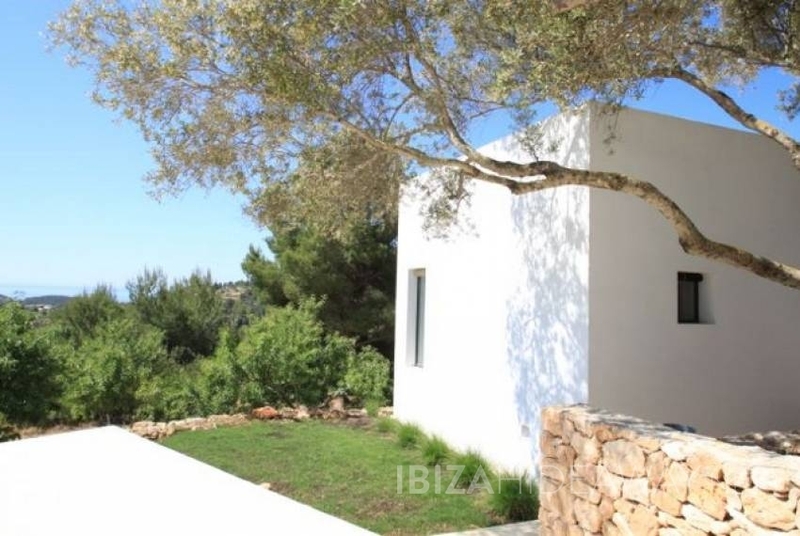 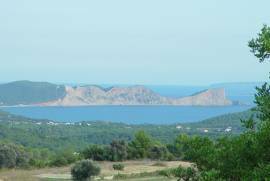 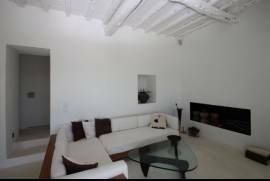 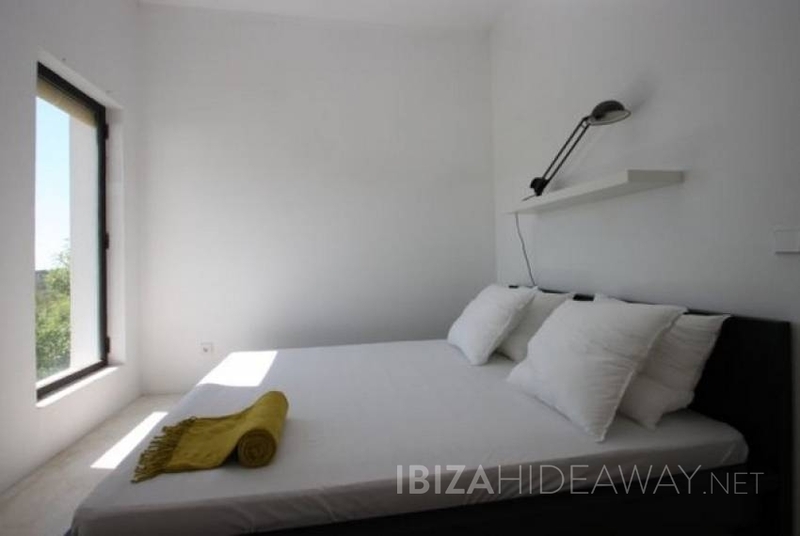 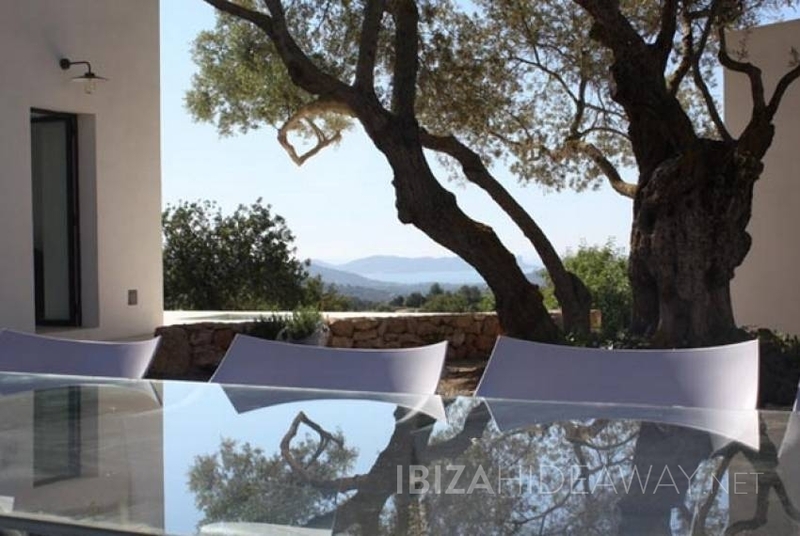 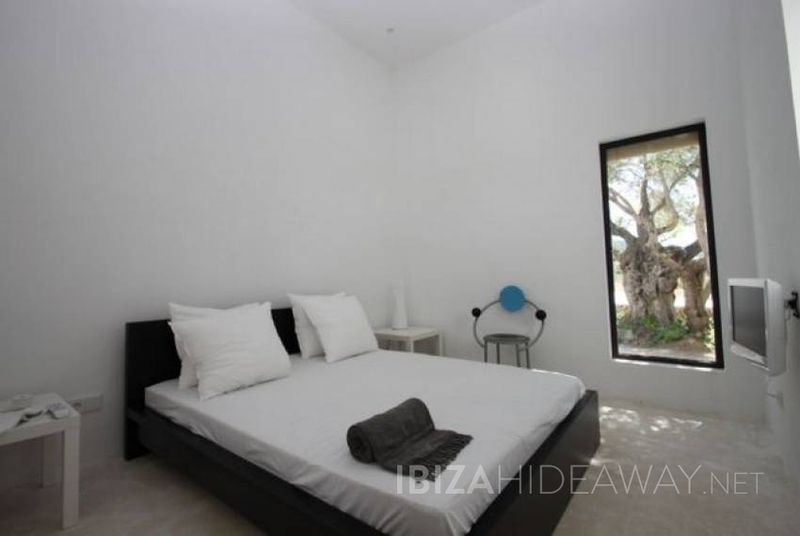 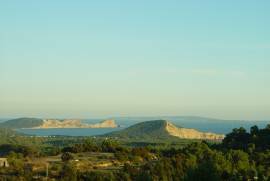 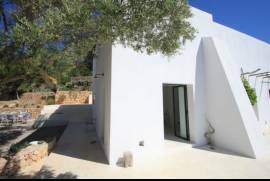 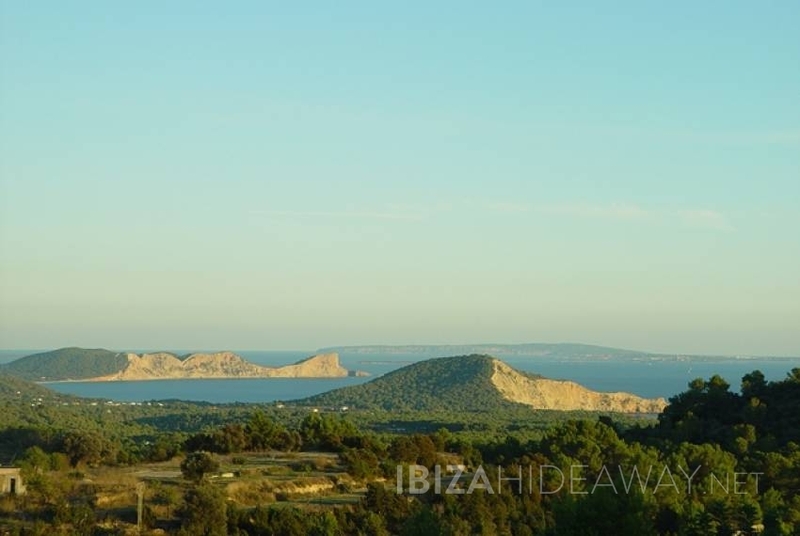 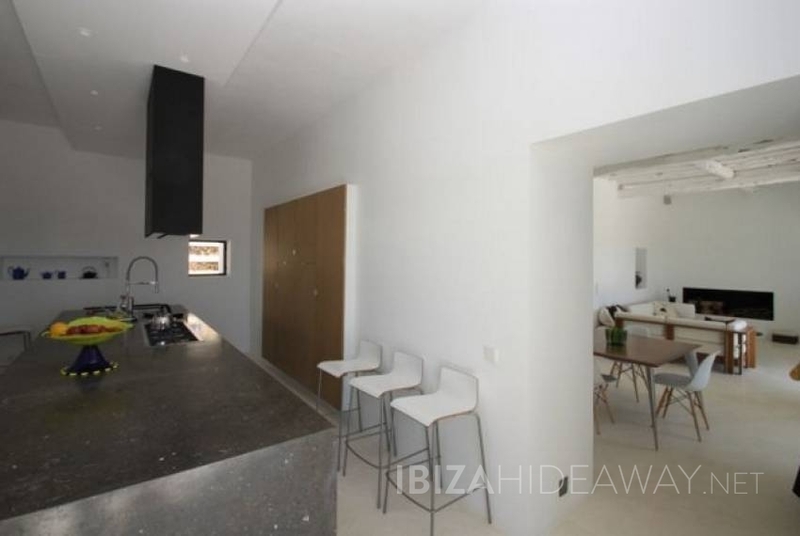 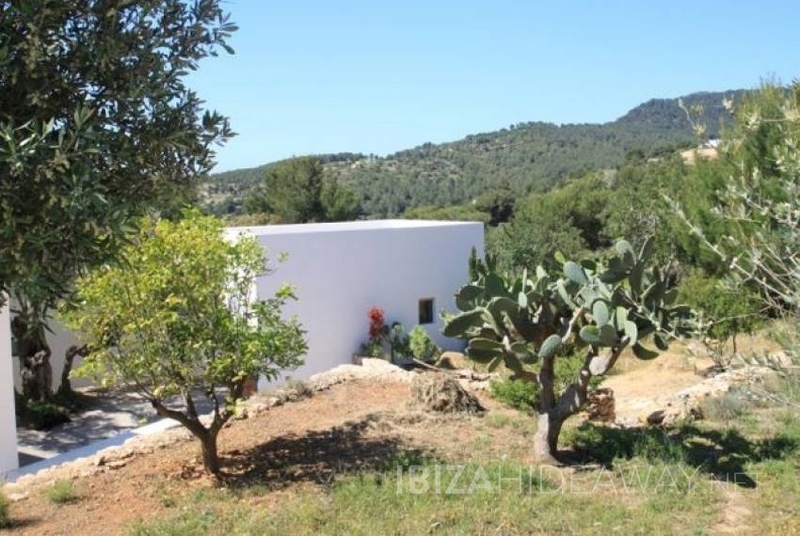 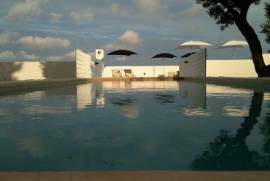 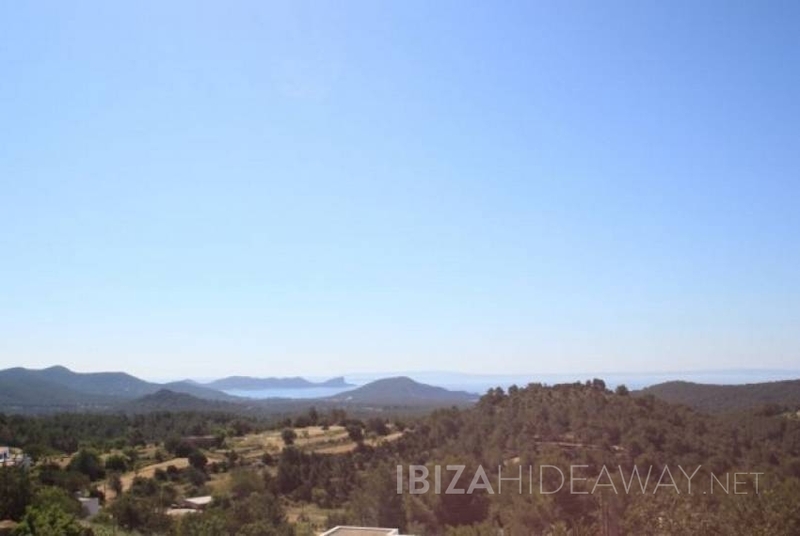 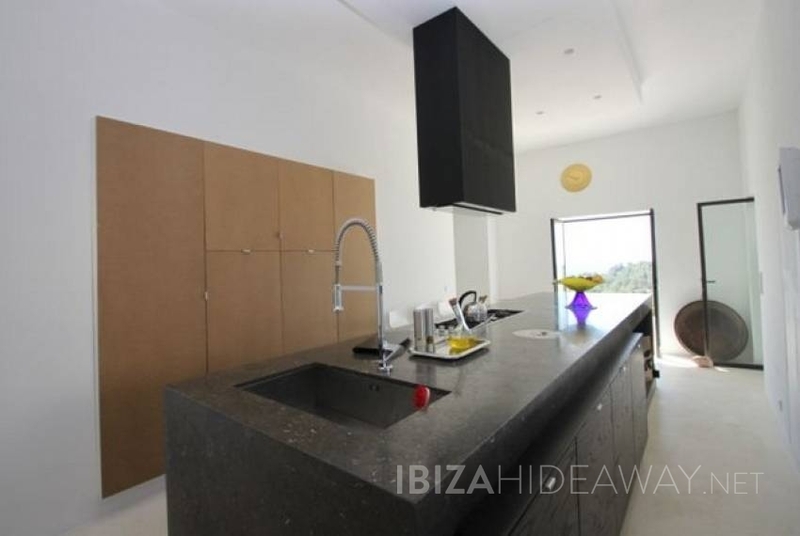 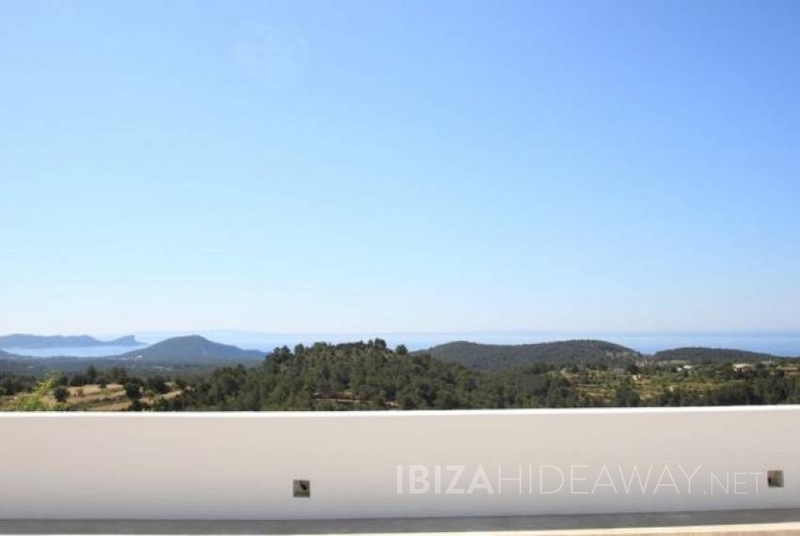 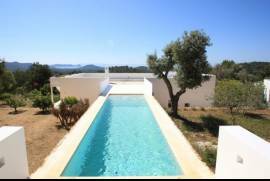 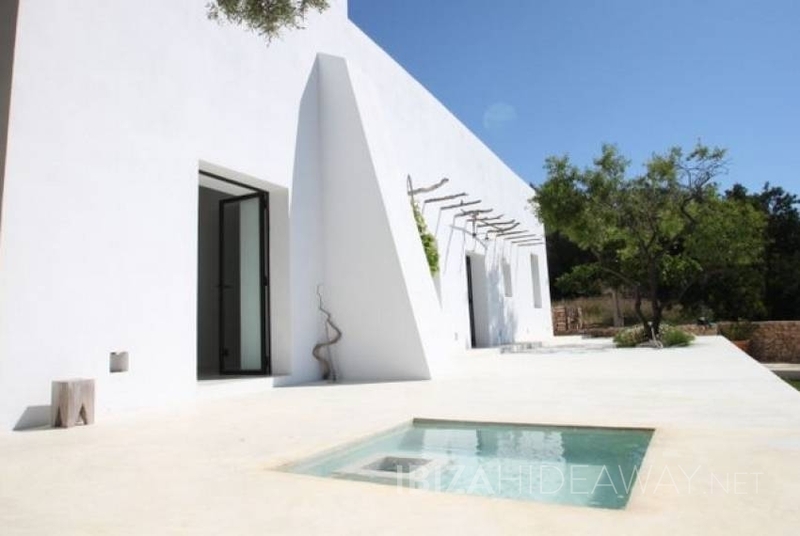 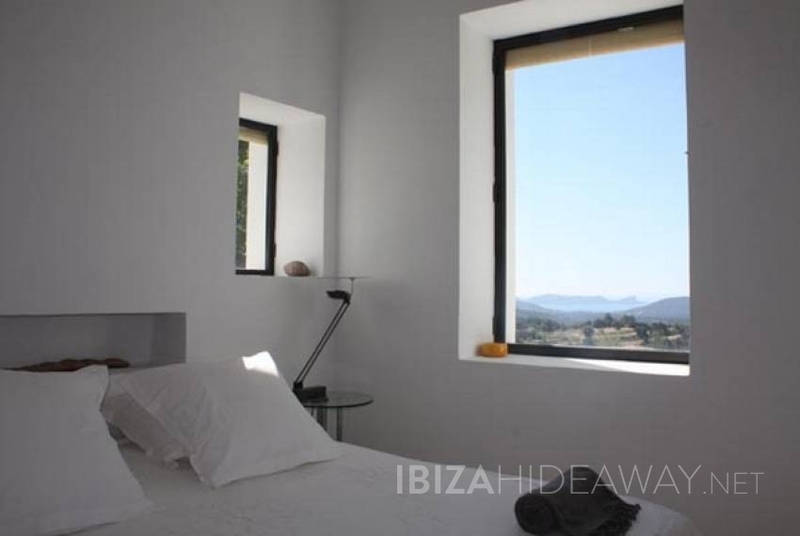 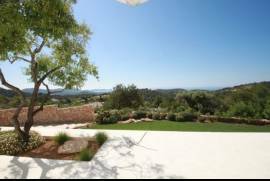 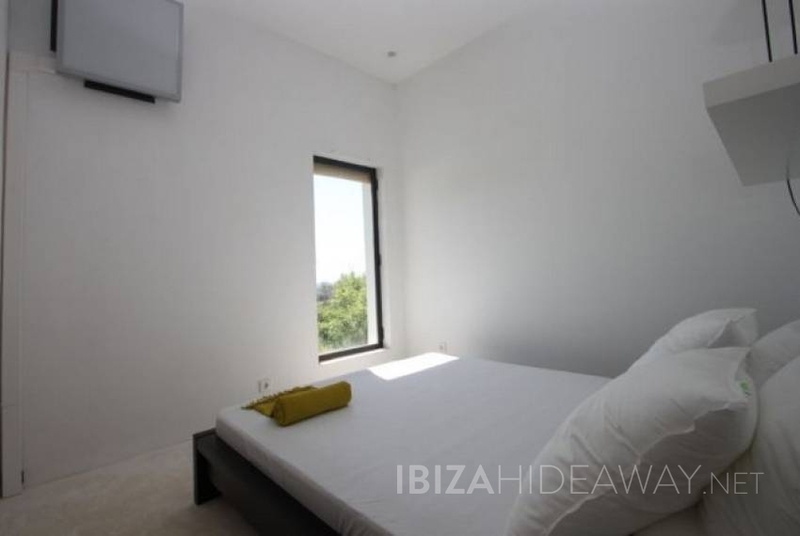 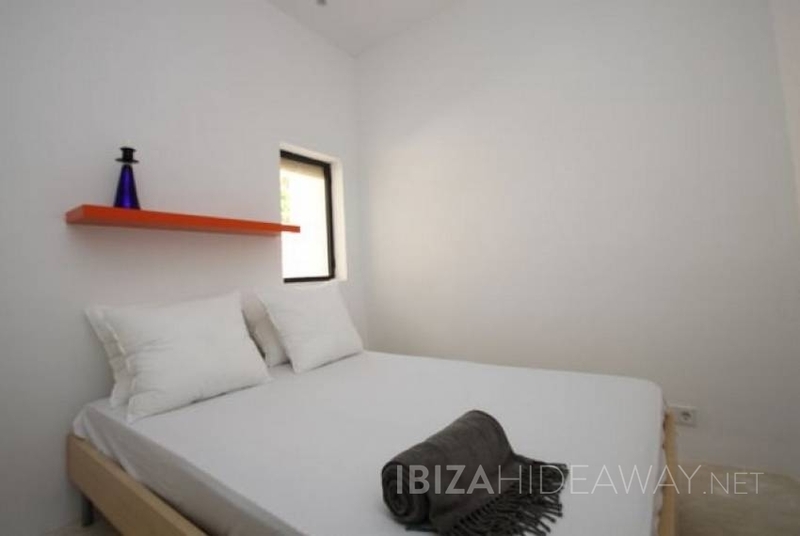 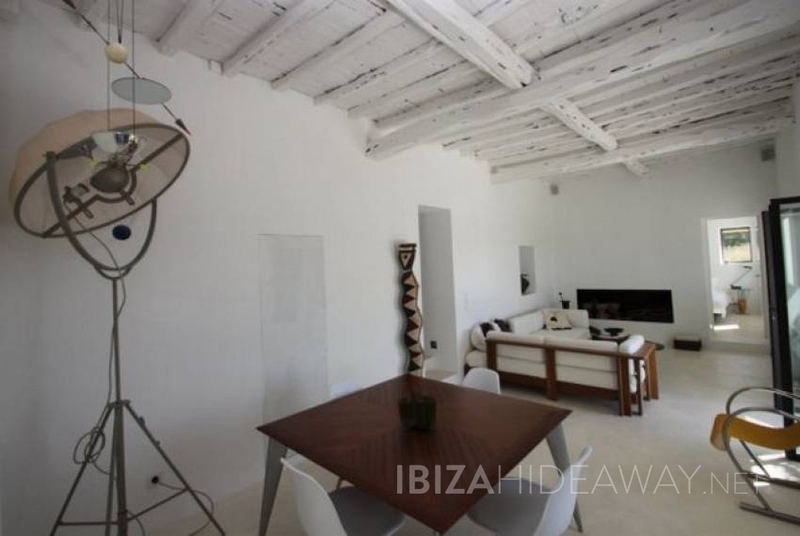 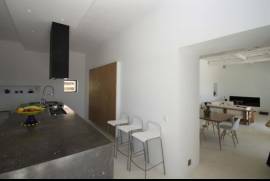 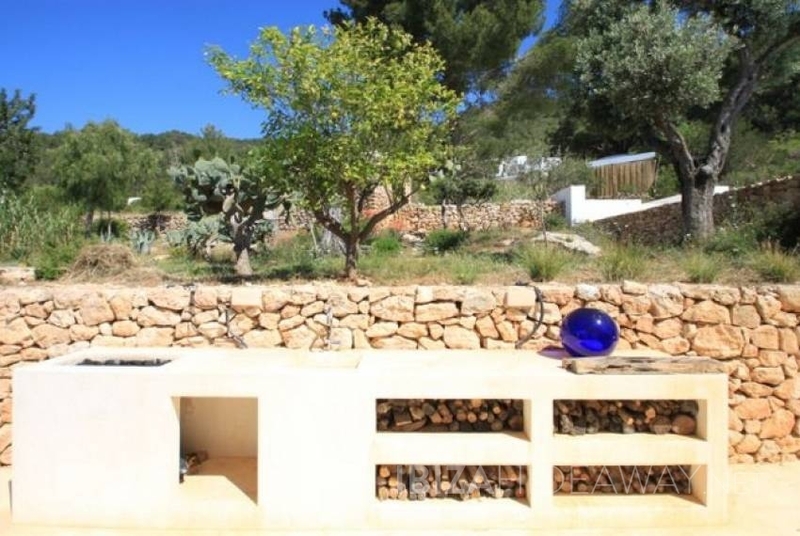 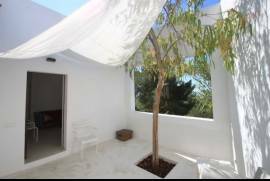 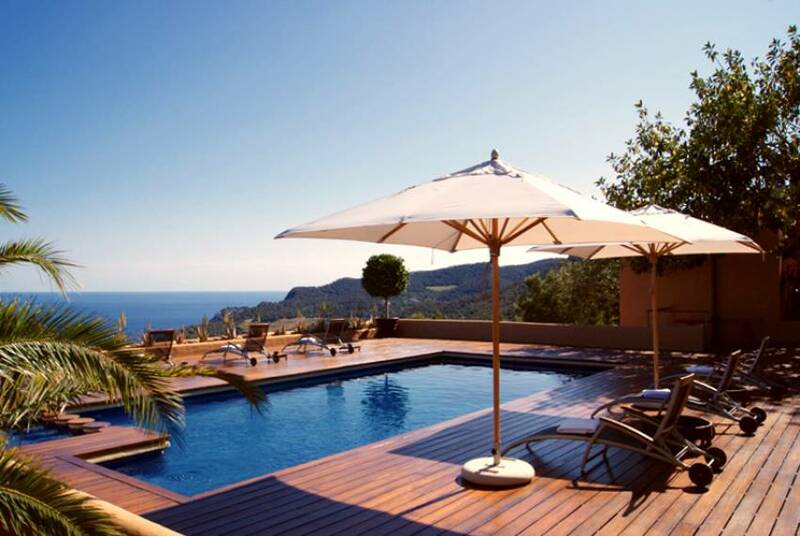 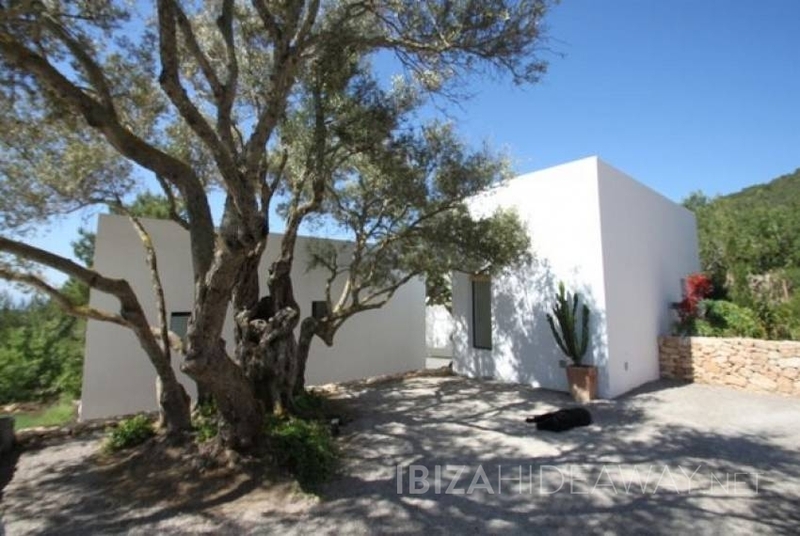 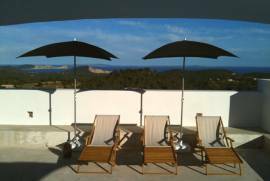 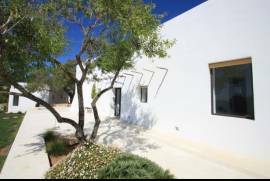 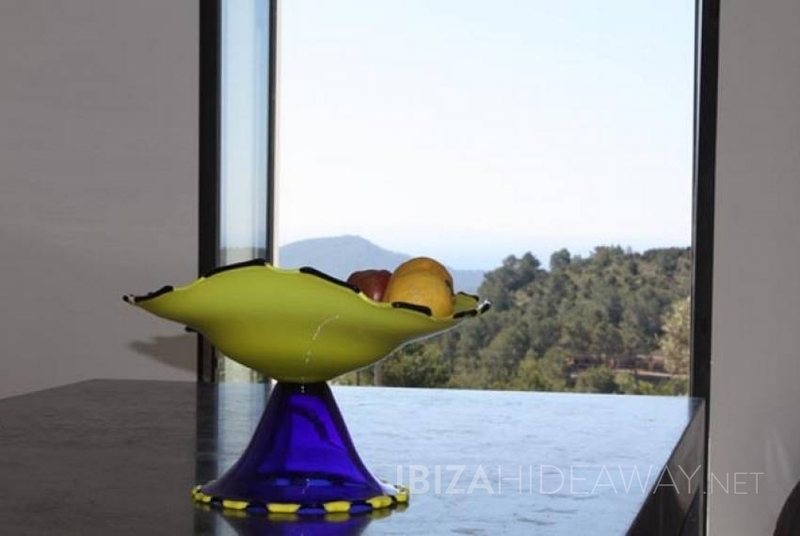 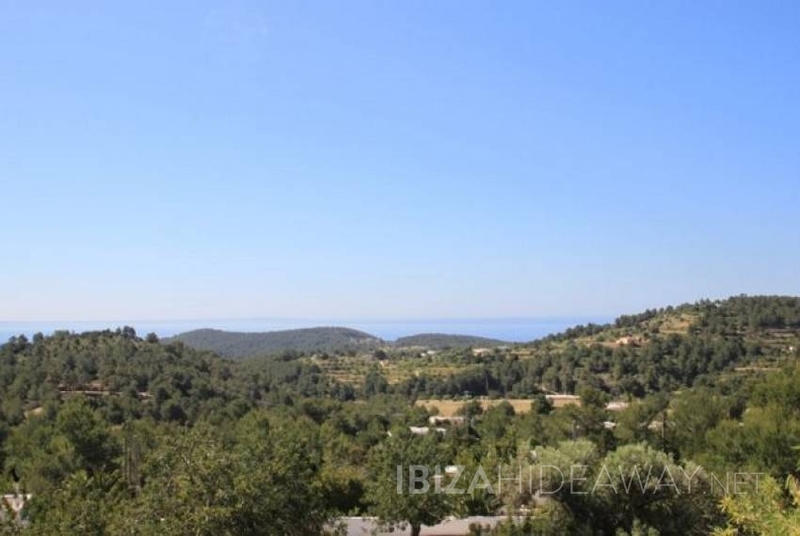 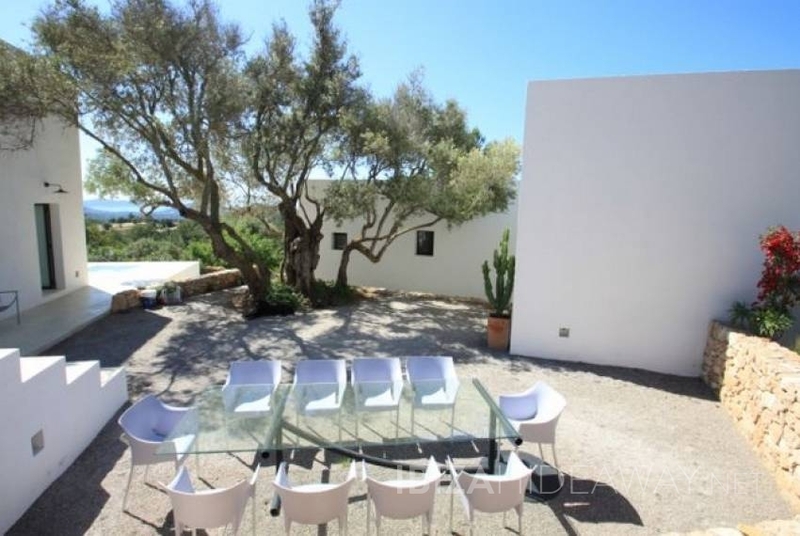 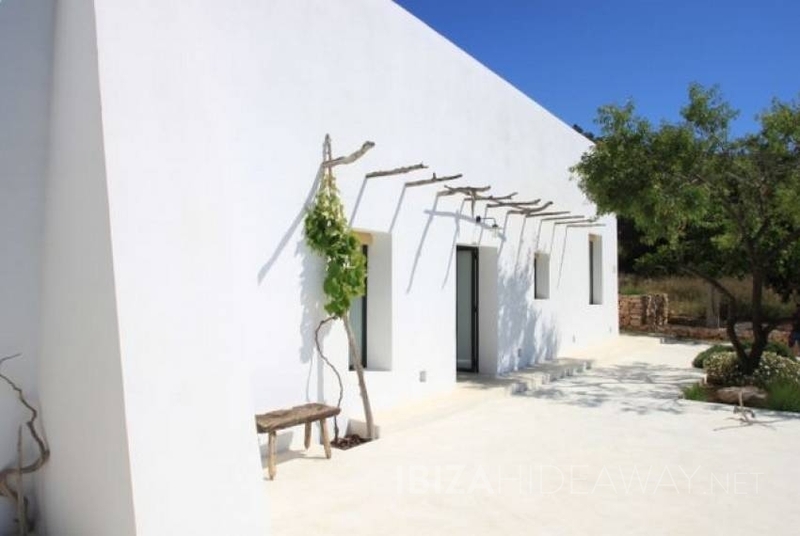 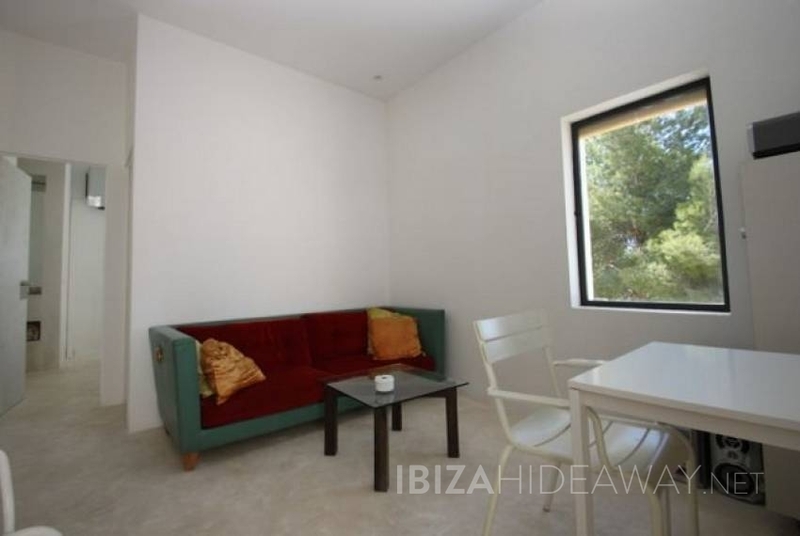 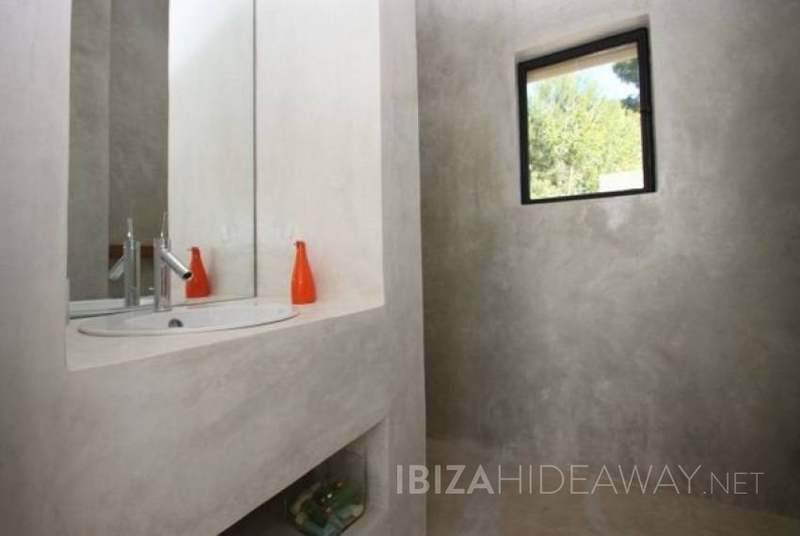 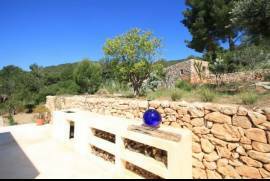 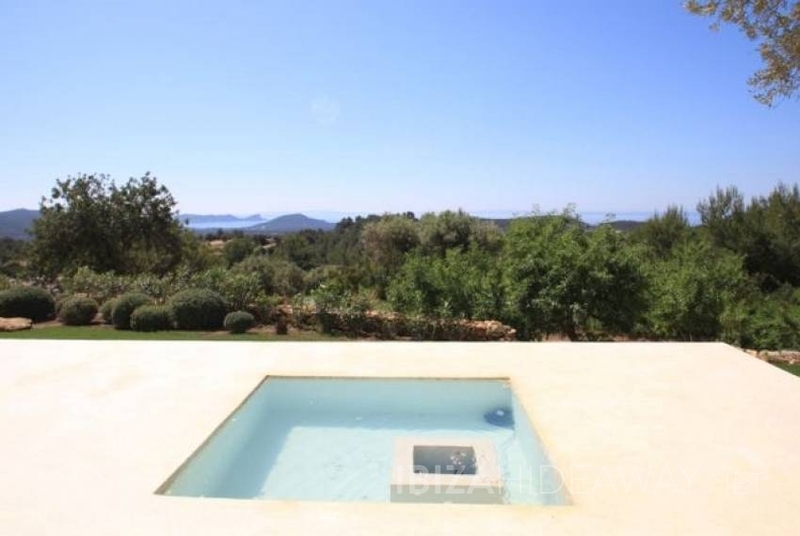 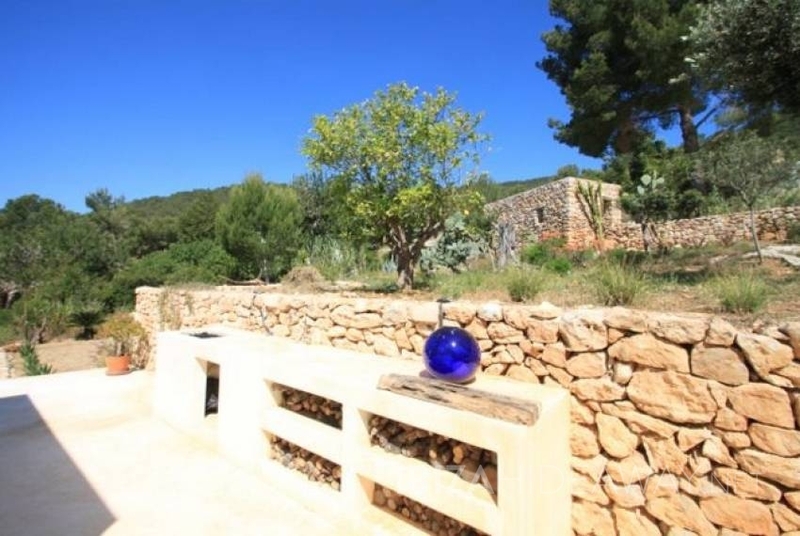 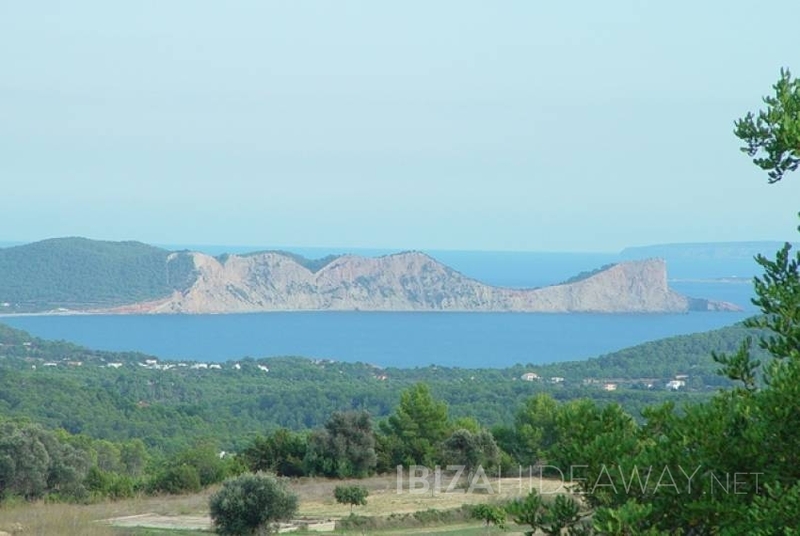 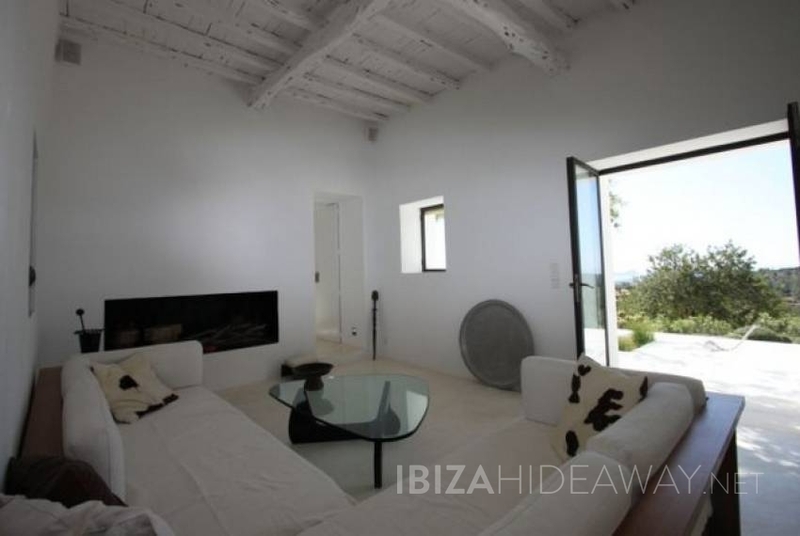 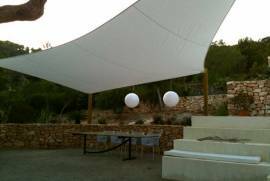 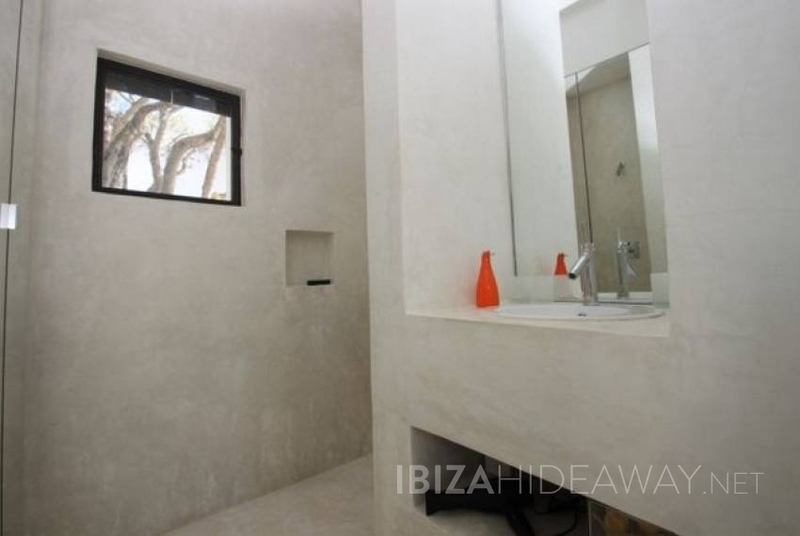 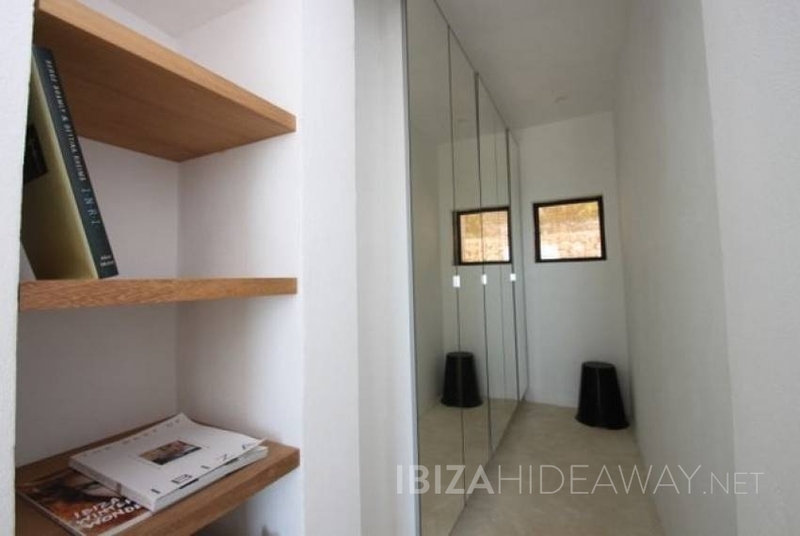 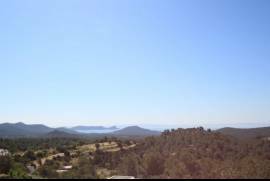 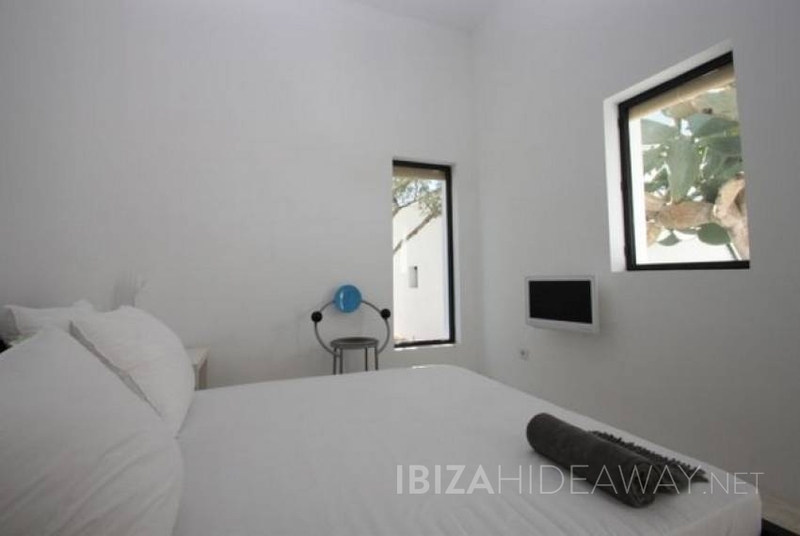 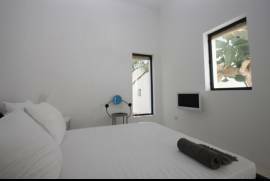 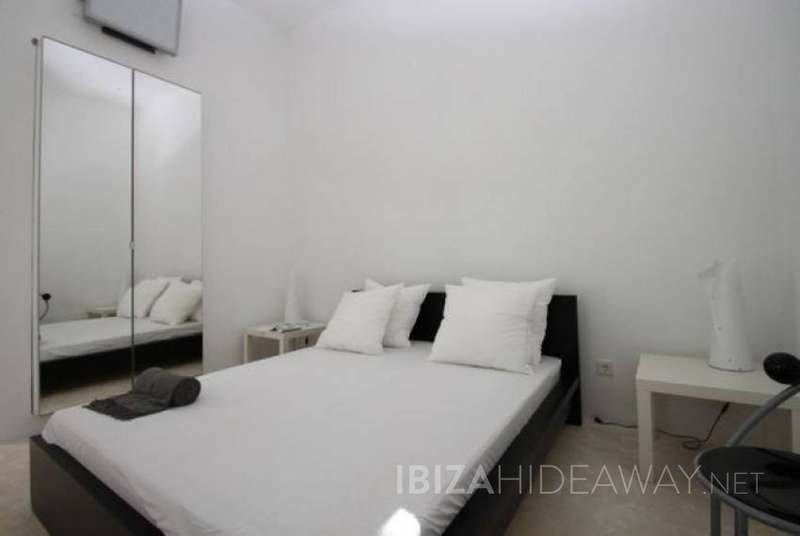 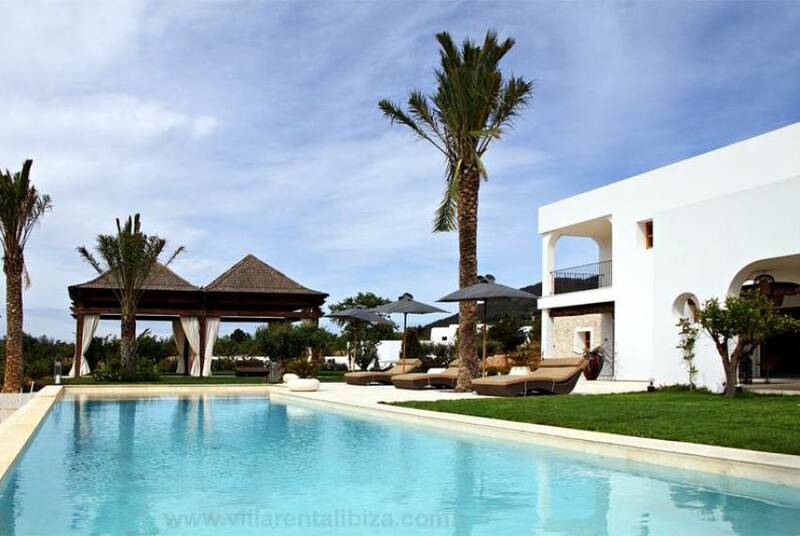 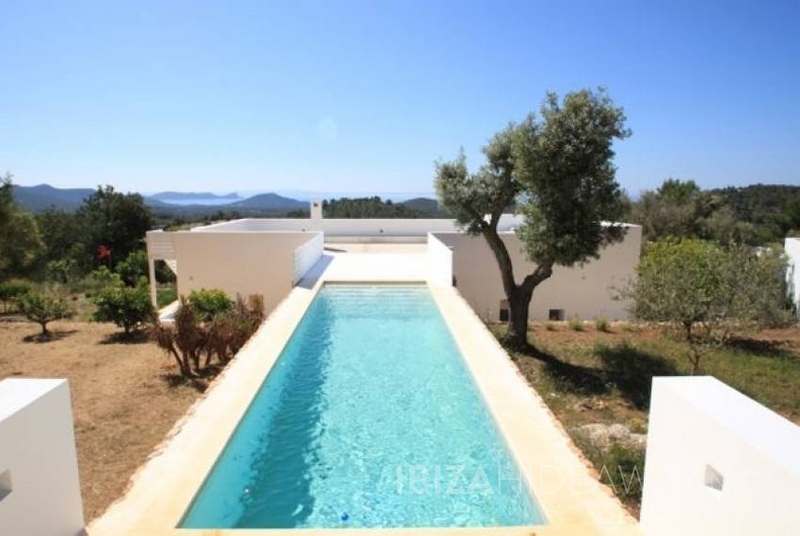 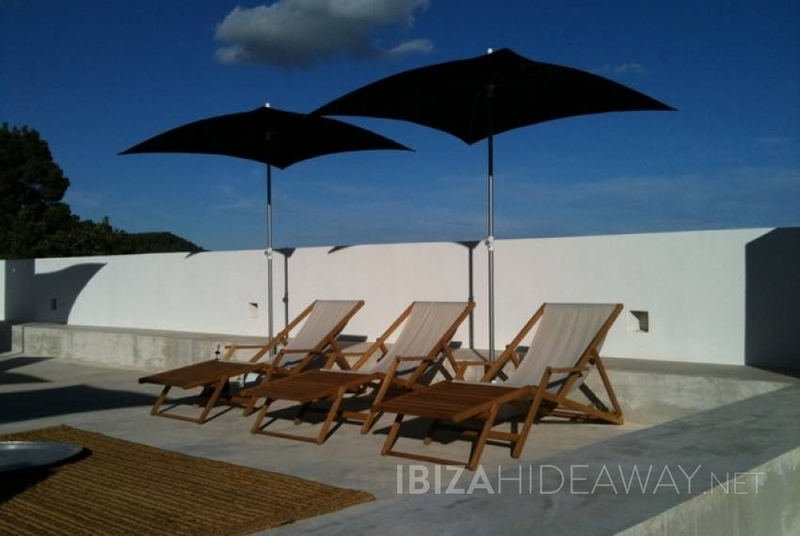 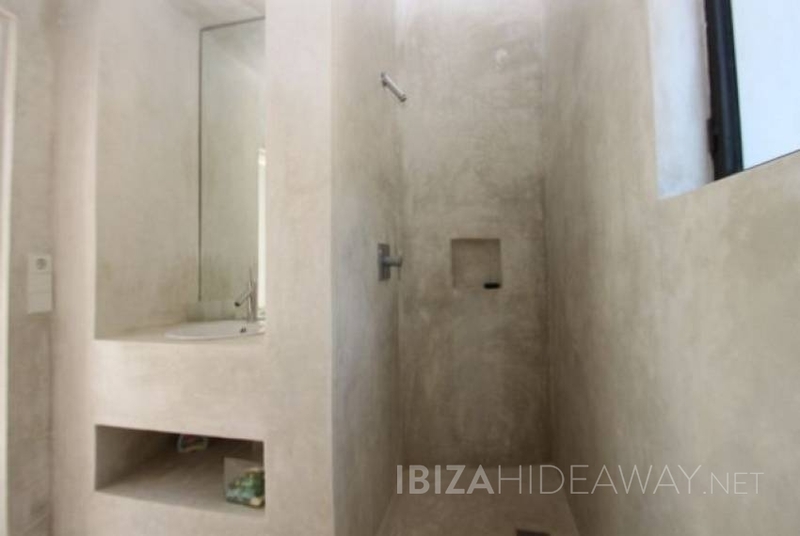 You find this stylish gem at just two minutes out of San José town, ideally located at just ten minutes from Cala Jondal and fifteen minutes drive from Ibiza town. 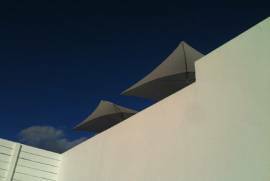 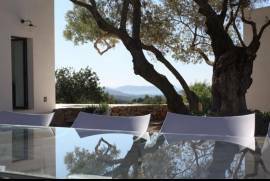 The clean, slick modernist style and the great views make it a wonderful base for both small groups of couples or families. 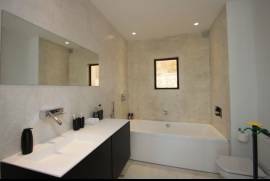 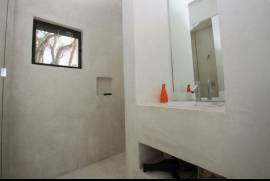 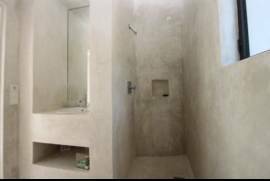 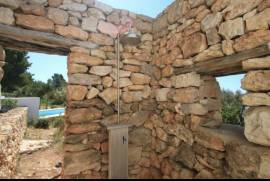 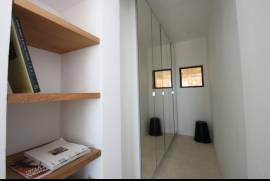 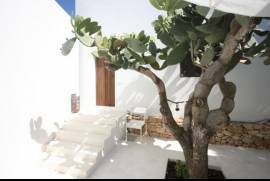 The villa distributes into a main house of three bedrooms and two bathrooms and two little outhouses with one bedroom and bathroom each. The larger guest house also offers a little lounge area with open plan kitchen and sofa-bed. 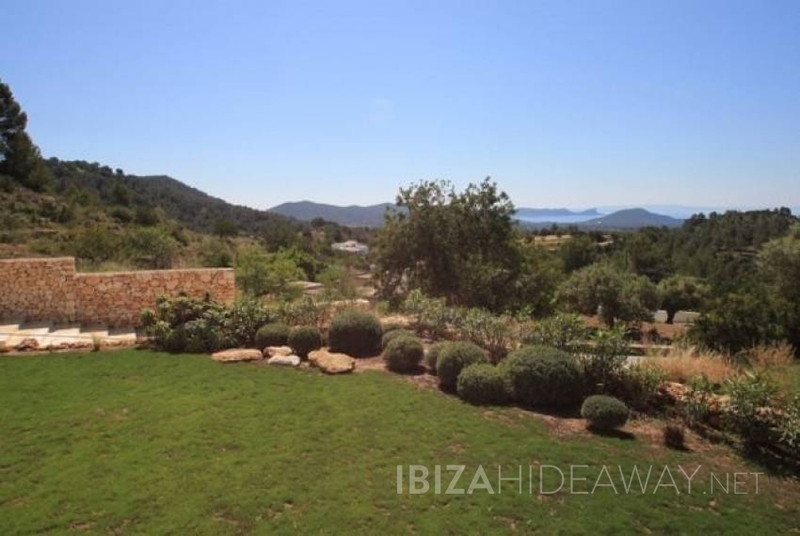 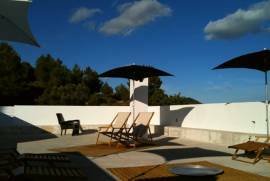 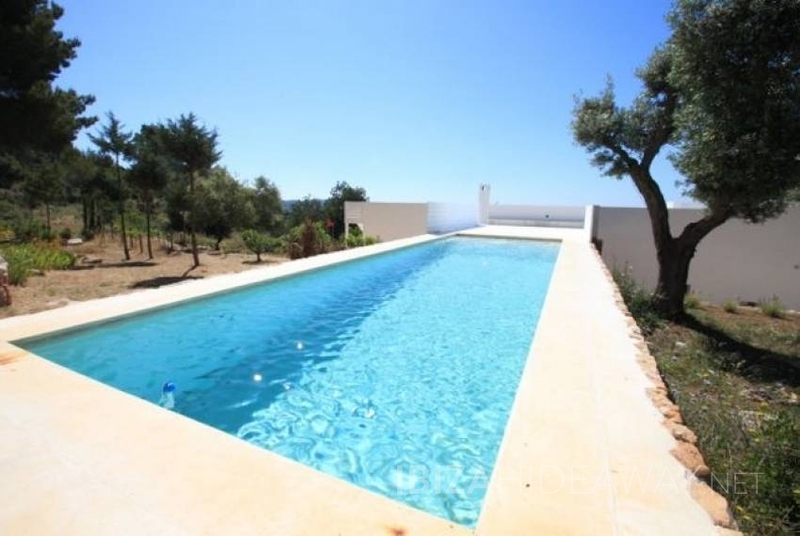 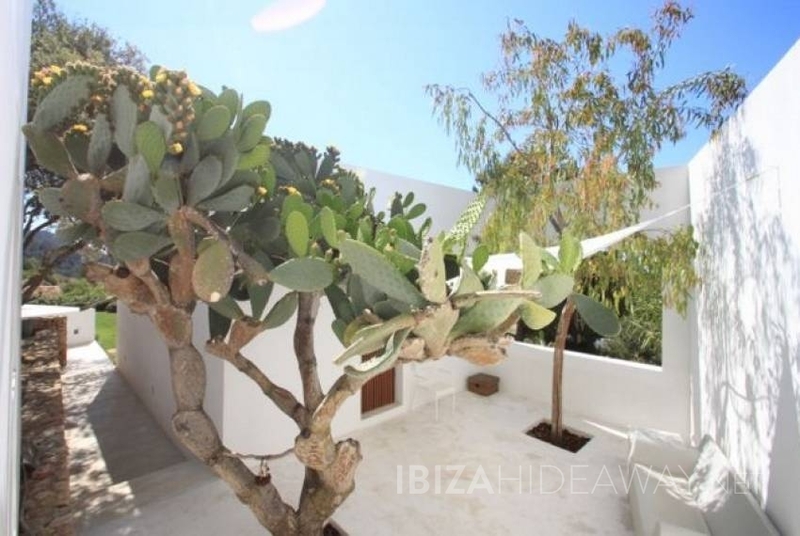 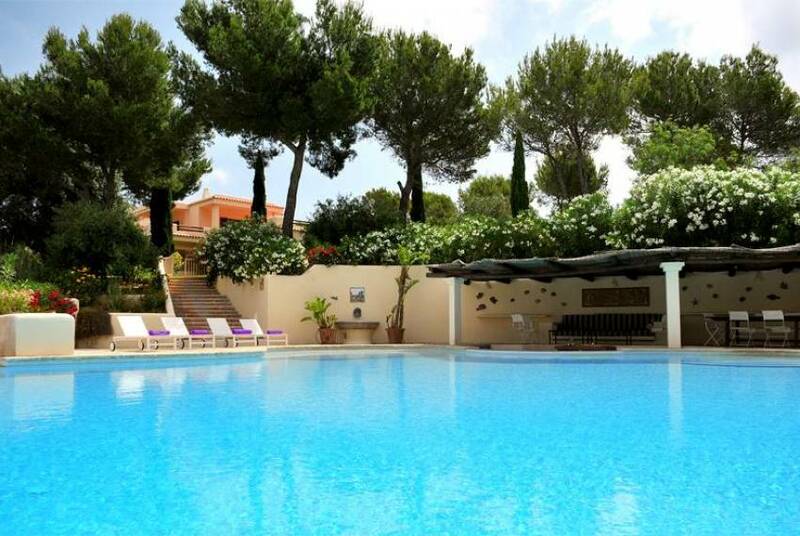 As this villa is located halfway up a lush hill, the pool area is found behind the house, up a staircase, which leads to a wonderful large sundeck with chillout areas. 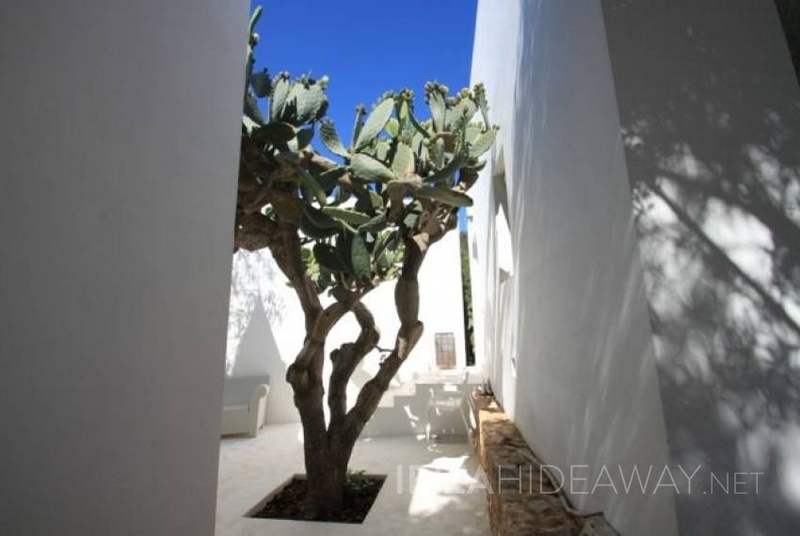 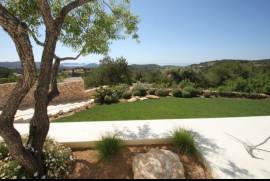 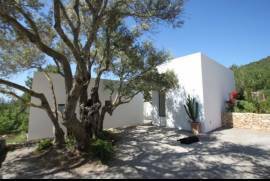 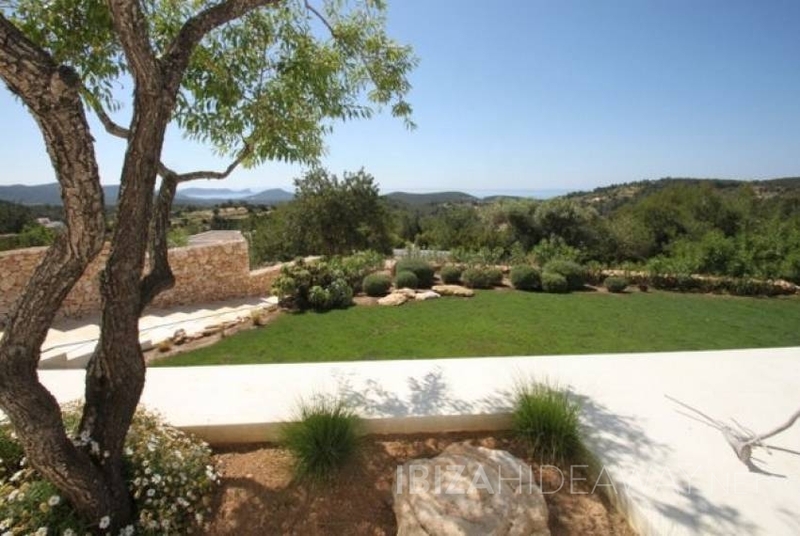 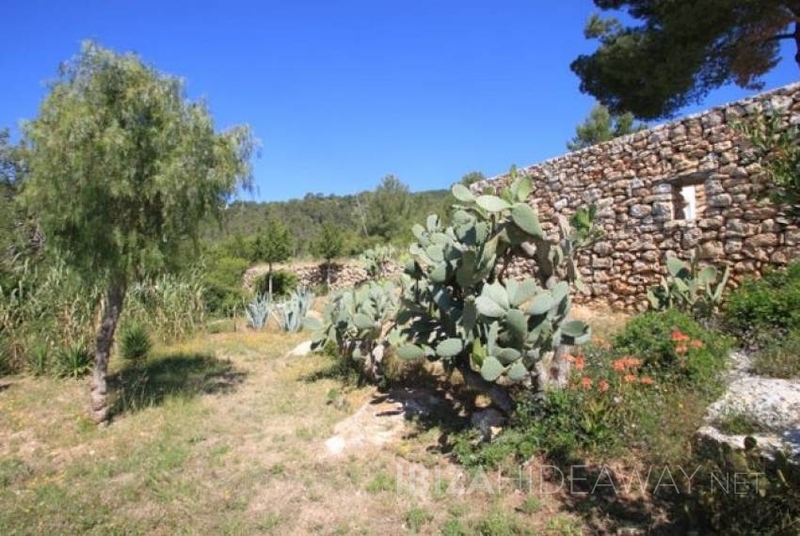 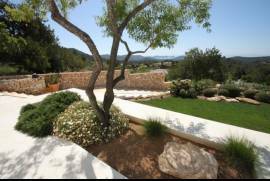 There is lawn space in front of the house, whereas the bbq and dining space are based between the main house and the outhouses under a romantic carob tree. 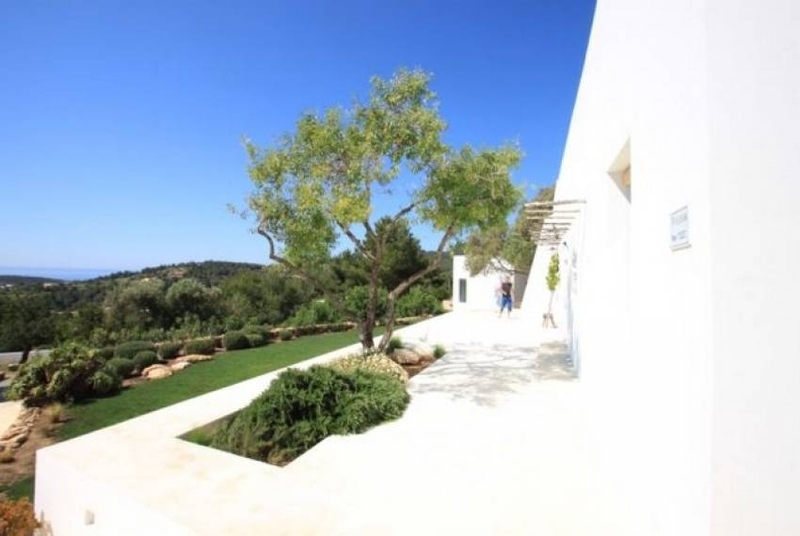 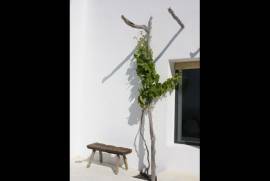 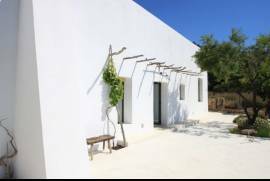 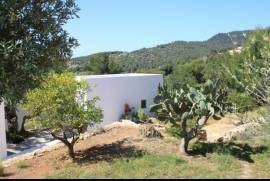 As the villa is based onto a finca-type country house with metre-thick walls, there was no need for airconditioning in the main part of the villa, the outbuildings are equipped with A/C units nonetheless. 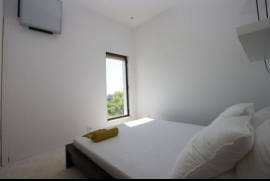 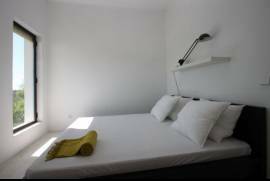 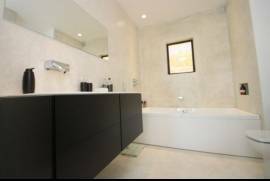 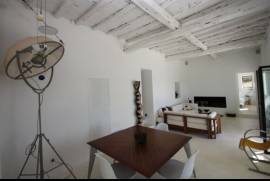 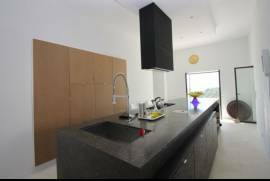 Also offers: WIFI internet access, digital satellite television.